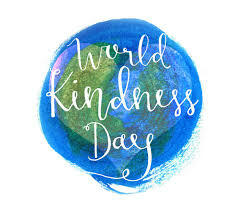 In conjunction with World Kindness Day, The City of Sedona declared November 13th, "Sedona Kindness Day" and again this year we celebrated with more than a week of of activities spreading kindness throughout our community. This year we have chosen Supporting Our Teachers as our primary focus (not just for Kindness week but throughout the year). On November 11th, we participated in the Veteran's Celebration at the Heritage Museum, where we gave red/white/blue Charms to all the attending Vets. During the week we also distributed 50 Blessing Bags (hat/gloves/socks/toiletries/etc.) to Veterans at the VFW in Cottonwood. LIYANA is a breathtaking meditation on the transformative power of storytelling, and a celebration of an extraordinary teacher who guides her students to face incredible challenges. Set in Swaziland, the gifted teacher and her orphaned, war-ravaged students strive together to create a mythic story about a young Swazi girl who embarks on a dangerous quest to rescue her younger brothers. The resulting story describes a journey from darkest fears to brightest dreams. 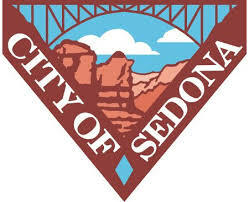 There were showings on Sedona Kindness Day, Tuesday, November 13th at 4 and 7 PM at the Mary D. Fisher Theater. Both showings were nearly sold out. The proceeds will go to a special teachers’ assistance fund. In promoting LIYANA, the L.A. Times wrote, “The world desperately needs to see more stories like this one.” SedonaKind and the Sedona Film International Festival was thrilled to be able to offer it to Sedona. Please watch the trailer http://www.liyanathemovie.com/#the-film. The final event of Sedona Kindness Week was a Community Kindness Conversation, sponsored by SedonaKind, the Rotary Club of Sedona, and the Sedona Public Library, on Saturday, November 17th from 2-4 at the Library. The event was free and everyone was welcome. The program began with a presentation by local resident Paul Friedman, Ph.D., a retired professor of communication, and head of OLLI Lunch and Learn. He summarized recent research on both the philosophy and the science of kindness, and the channels through which we can make a significant difference in other peoples’ lives and our own. He explained how the actions that are the most meaningful to others also bring great benefits to the kindness giver. In fact, when kindness is active, it’s difficult to distinguish between who is the giver and who is the receiver. All participants are blessed by the interaction. Or put another way, kindness is like a boomerang- it always comes back to you. After his presentation, the audience broke into small groups to explore with each other how kindness has shown up in their lives, to discuss whether there are barriers to being kind, and do they believe that a small act of kindness can truly make a difference. The groups then shared their ‘aha’ moments with each other. SedonaKind, Rotary and the Library were so pleased to be able to offer this program to our community, on the Saturday before Thanksgiving. We believe that “kindness is contagious”, and with the audience sharing their thoughts on this timely subject, we also believe that this event gave everyone who attended a new perspective on kindness, and some new ways to share and spread it. After all, “kindness leaves tracks”. Thanksgiving is just about the best Holiday, isn’t it? No long lines, no presents to buy, no pressure to decorate, just a fabulous meal, friends and families together, and some football. Oh yes, and Gratitude. Having the time to reflect on all our blessings, big and small. And for the third year, SedonaKind was thrilled to be able to set up our Gratitude Trees around town. We believe that “It’s not happy people who are Grateful, it’s Grateful people who are happy”. There are traditional Xmas trees, manzanita branch trees, murals of trees and paper trees. All of them are coupled with heart ornaments you can write on, and then decorate the trees with them. And what do you write on the hearts? Why, what you are grateful for. The blessings in your life. And after making your own Gratitude Heart, you can have the joy of reading what your friends and neighbors count as blessings. You can find a Gratitude Tree at the Sedona Community Center, the Oak Creek Country Club in the Village, at Yavapai Community College Campus in Sedona, and in the Sedona Public Library in the Children’s room. Our seniors are enjoying them at Sedona Winds Independent and Sedona Winds Assisted Living, and the children at Thunder Mountain Elementary will have one as well. “The messages on the hearts over the past years were so touching, and so meaningful” said chairperson Cheri Baldwin. “ I am grateful for people who find time to volunteer- for my baby brother- for a home to live in- for my immigrant parents- for food- for love in my life”. The Gratitude Trees went up as part of Sedona Kindness Week, and will remain through December. SedonaKind invites everyone to visit one, take the time to bear witness to the blessings in your lives, and in the lives of the people in your community. And you can always make a small one of your own and add it to your family’s Holiday traditions. Remember, “Gratitude paints little smiley faces on everything it touches”. At this time of year, with the elections behind us (whew!) and Thanksgiving just around the corner, SedonaKind is happy to tell you a tale that will make your heart sing. Sometime last Spring at a meeting, members began thinking about how marvelous it would be to create a “Kindness Wall” somewhere in Sedona, to spread our message to everyone who drove down the street. After we caught our breath, we realized this was going to be a long term project, and one that would hopefully engage many other groups in our town. But the impulse remained, and so we thought “ what about a bench?” A permanent concrete bench, decorated with beautiful mosaic tiles and hearts, where residents and visitors alike could rest, relax, and contemplate kindness. You can see how we celebrated last year by clicking on the link below.